A Masjid is a place of worship for followers of Islam. A Masjid Complex for different educational activities. A Masjid for Community needs and activities. The Masjid (Mosque) serves as a place where Muslims can come together for salat (صلاة ṣalāt, meaning “prayer”) as well as a center for information, education, and dispute settlement. The Imam leads the congregation in prayer. With your support, we’ll be able to continue our work with in Bangladesh. The project will be expanded. If you’re interested in supporting this work, Contact Us or phone 424-262-3872 or Donate now. Address : Nation Building Foundation, Inc. PO Box: 310067 Jamaica, NY 11431, USA. 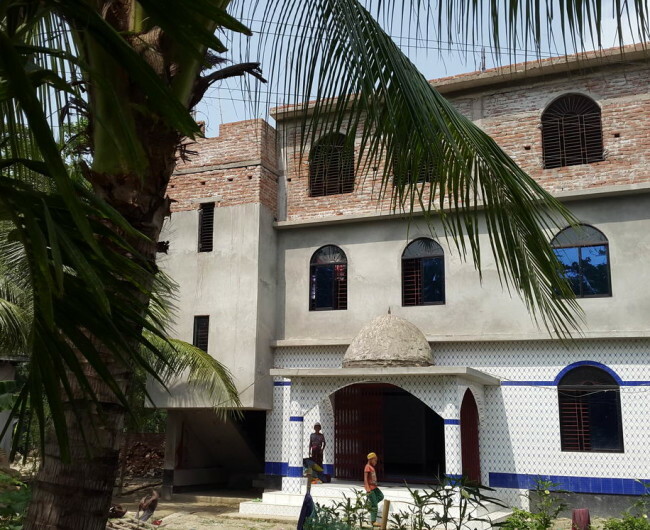 Nation Building Foundation for Aid and Development is a global, non-profit, humanitarian organization striving to reach out to people who are in distress, primarily in Bangladesh, through the help in multiple sectors, caused by all sorts of disasters and other factors such as underdevelopment, lack of education etc. Nation Building Foundation for Aid and Development © Copyright 2016 All Rights Reserved.